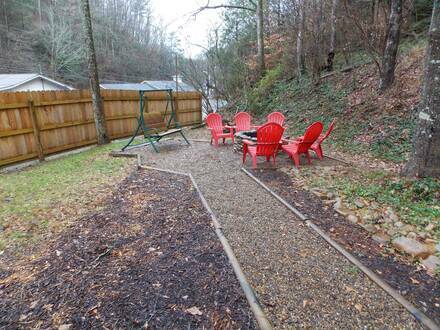 Enjoy a rusting setting with plenty of amenities at Bearly Rustic, a two-bedroom cabin near Gatlinburg. Its quiet woodland setting is great for relaxing, and there are luxuries both outside and within this charming cabin. 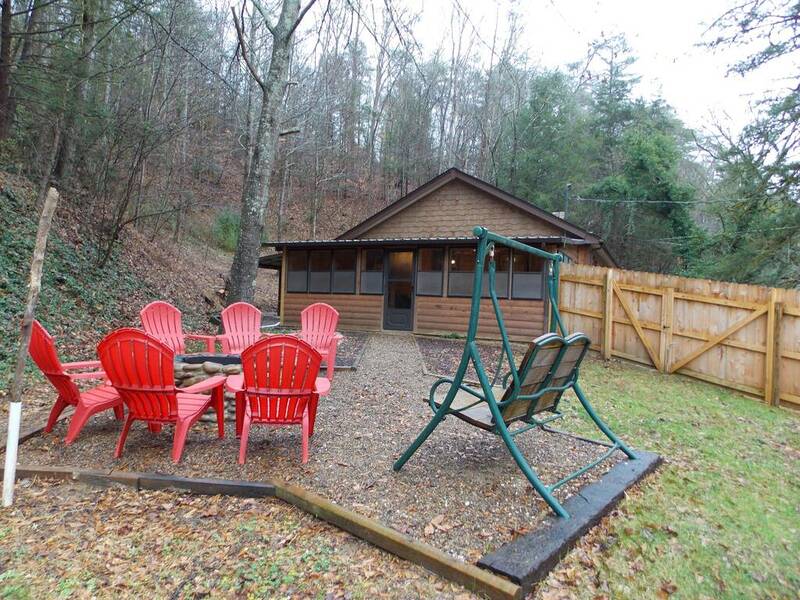 Curl up on one of the comfy chairs or couches in the living room and turn on the fireplace after a fun day hiking in the Smokies or riding the coasters in Pigeon Forge. There is a large flat-screen television on the mantle above the fire and a full kitchen nearby. 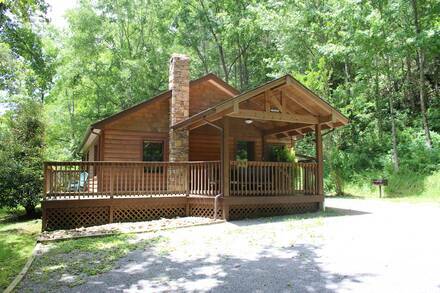 Make your meals together and save on cash while making memories as a family or couple. 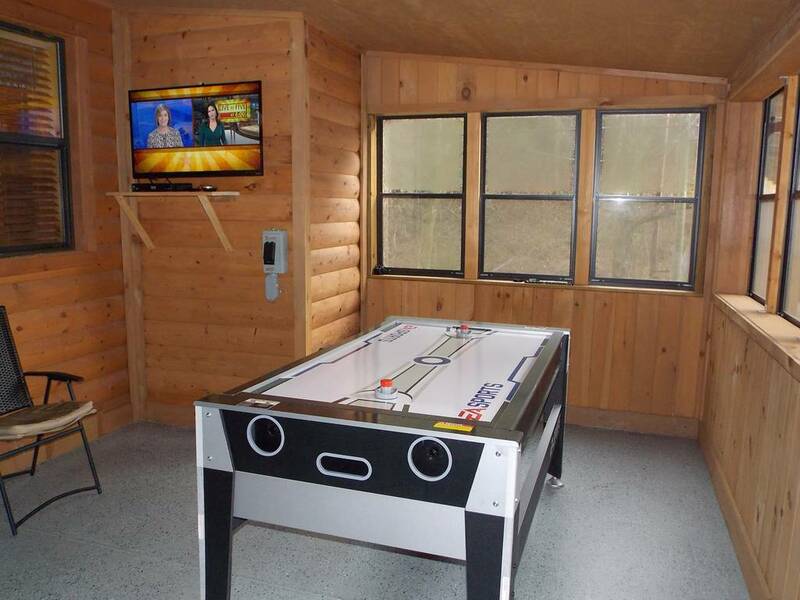 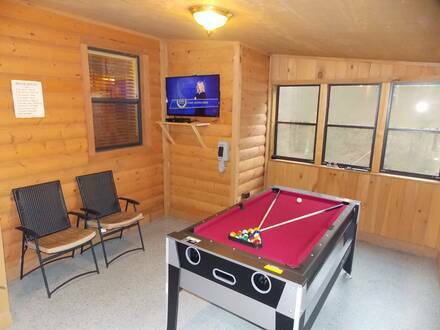 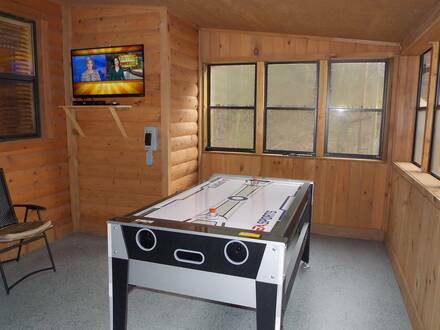 There are two bedrooms with modern furnishings, plus pool and air hockey tables for some friendly competition. 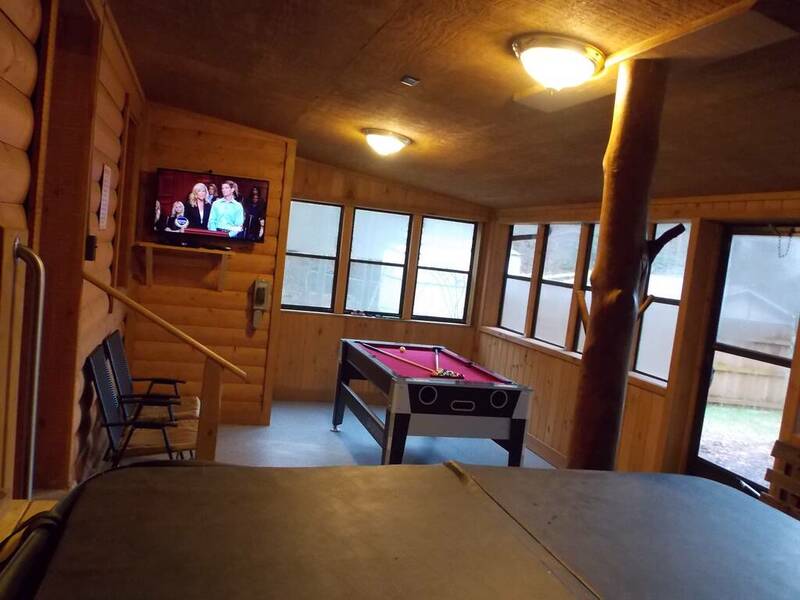 It also has Wi-Fi throughout, so make sure you tag us on Instagram or Facebook as you brag about your Smoky Mountain vacation. 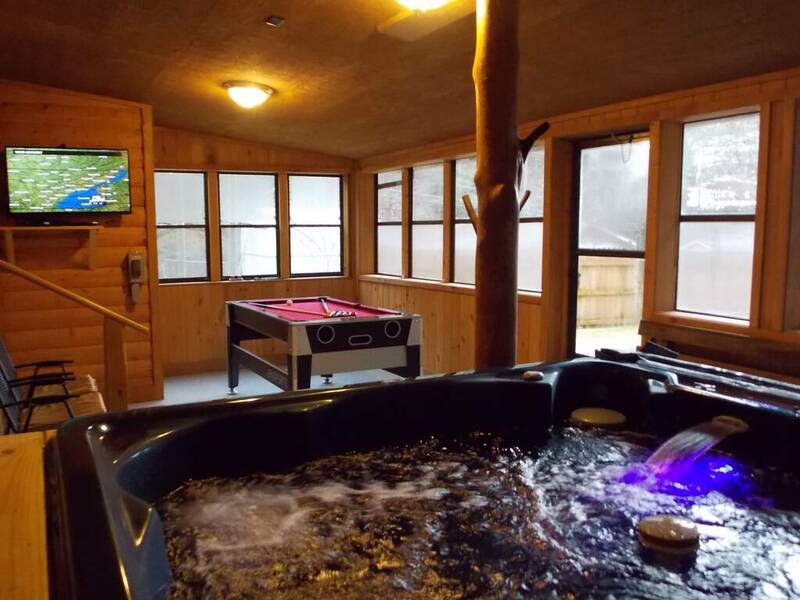 Make sure you save some time to unwind in the hot tub, whether you have spent the day skiing, shopping, or doing absolutely nothing. In the evenings, gather around the fire pit and make s’mores at your campfire. 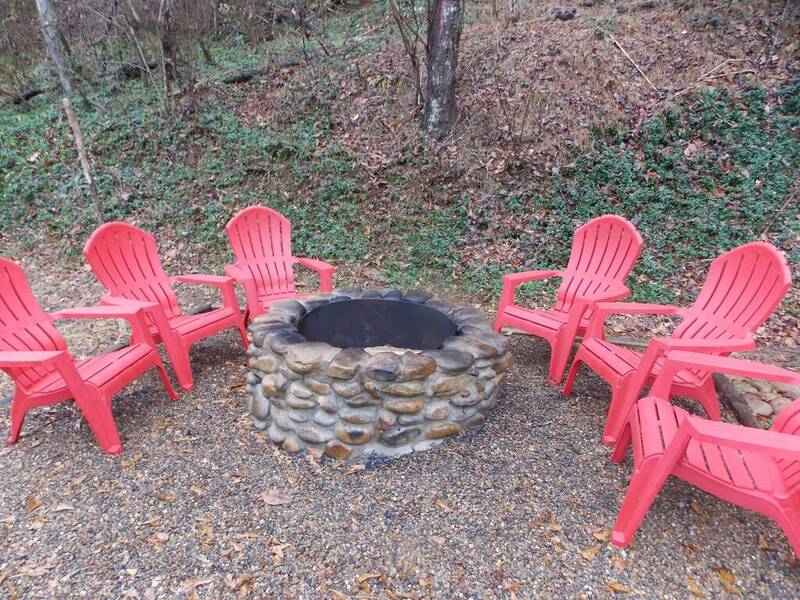 Book now and you can also start every day with a free pancake breakfast at Reagan’s House of Pancakes!